Automation and cloud technology are a tool for a skilled bookkeeper, not a replacement. That is why a commitment to client service is still essential to stand out in a competitive market. 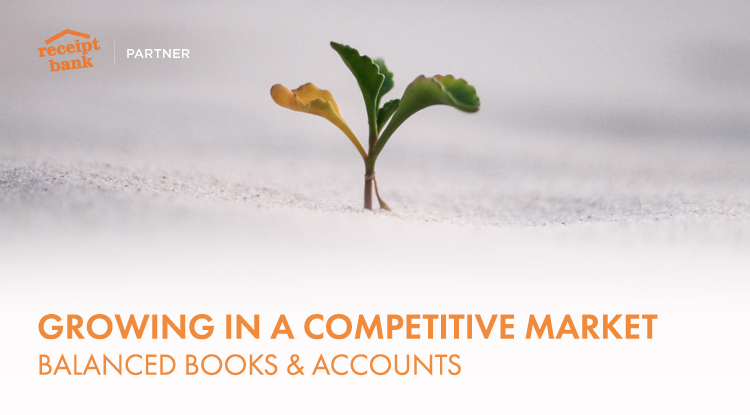 Balanced Books & Accounts have combined their passion for service with Receipt Bank’s technology, with impressive results. The original bookkeeping process at Balanced Books & Accounts grew out of the fact that many of their bookkeeping clients lived in rural areas. “Before Xero and cloud accounting we would put scanners into each of our client’s offices. They would scan items as they came in and then our scheduling software would check every hour for new items and send them to our server”, says Joe Lautier. This system eliminated the need to drive out collect the data, or the client having to send it in the info. It also meant that they never rejected a client based on their location. However, it did still require the traditional bookkeeping process once the scans came in. “We’d download the scans, print them off and enter the data,” according to Joe. Clients were already used to scanning their receipts and invoices, which allowed the scans to just be fed into Receipt Bank for data extraction and categorisation. But originally, clients weren’t actually aware that Joe and his team were using Receipt Bank. Clients became more aware of Receipt Bank once the team started using the Receipt Bank app. “The app became a selling tool for me. We weren’t hiding it before, but it moved from being an internal tool, to part of the sales pitch,” says Joe. This also simplified the client experience. Those who had trouble making time to use the scanner in their office, or whose hardware wasn’t compatible with the scheduling software could now just switch to using the app. Joe recalls one particular example of helping a client using Receipt Bank. The Auto-Publish tool on Receipt Bank has become essential. “Over a 3-month period we had put through 4200 documents. If you can then save 15 seconds a document [with Auto-Publish], that adds up,” says Joe. Receipt Bank also helps Joe stay competitive in a changing industry by focusing on client service.